Valentine's Day is this Sunday and hearts are on my mind, both the chocolate and the beating varieties. 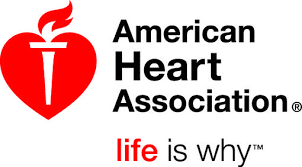 That's why today's Feel Good Friday is all about the American Heart Association! You may know about them from their CPR classes, fundraising walks or heart-healthy cookbooks. Public health education is just part of what they do. As stated on their website, "our mission is to build healthier lives, free of cardiovascular diseases and stroke. That single purpose drives all we do." There's a good reason for their focus. Heart disease is the number one killer of people in the world. The American Heart Association is working to change those statistics. Some history from the website explains they are "the nation's oldest and largest voluntary organization dedicated to fighting heart disease and stroke. Founded by six cardiologists in 1924, our organization now includes more than 22.5 million volunteers and supporters. We fund innovative research, fight for stronger public health policies, and provide critical tools and information to save and improve lives. If you haven't been tempted to click the website link yet, do it. It's full of information on healthy living for adults and kids, it also includes resources for researchers, caregivers and educators. Since heart attacks kill more women each year than all cancers combined, there's a special site called Go Red For Women. And for those of you who prefer to get your education in a fun manner, go to YouTube and watch short videos about CPR with Ken Jeong and heart attacks with Elizabeth Banks! All of this public education is fantastic and, as I mentioned before, that's only part of it. 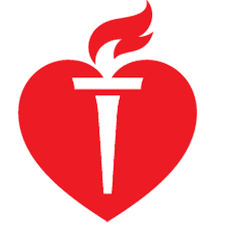 The AHA also funds cardiovascular research, including 13 Nobel Prize winners, trains health care professionals and sets scientific treatment guidelines. My Valentine's gift to you is to list out the Simple 7 ways to lower your risk of a heart attack, no link clicking required (unless you want more details): get active, control cholesterol, eat better, manage blood pressure, lose weight, reduce blood sugar, and stop smoking. Now go out and enjoy those chocolate hearts! Just not too many.